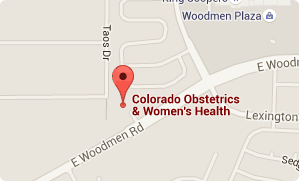 Colorado Obstetrics & Women’s Health is a premier Colorado Springs OB/GYN provider. To make an appointment with us, please call us at (719) 634-8800 or visit us at our office at 3230 E Woodmen Rd. #100 Colorado Springs, CO 80920. We are happy to schedule an appointment in advance to suit your schedule. Lunch is taken daily Monday-Thursday from 12:00PM – 1:00PM. Our answering service is available after business hours. Please note to upload a copy of your insurance card, it must be in PDF format. Thank you. Patients are seen by appointment only. Please let us know if you are running late and we will do all that we can to accommodate you. We make every effort to honor your appointment time. There are, however, unforeseen circumstances, emergencies, and/or deliveries, that can cause delays. If a delay causes an inconvenience for you, we will be glad to reschedule your appointment. Please bring in your insurance card and a form of photo identification to your visit. You may also upload your insurance card via this page. If additional forms need to be completed, then please arrive 30 minutes prior to your scheduled time. In the event of extreme weather, please telephone our office at (719) 634-8800 prior to leaving for your appointment. Our answering service will be able to advise you of delay or closure. There is a physician on call whenever the office is not open. The answering service can be contacted by calling (719) 634-8800. The doctor will return your call as soon as possible. If the call has not been returned in 30 minutes, please call the answering service again. The after-hours call service is for emergent or acute problems only. Routine medications and narcotics are not filled by the physician on duty. In the event that a prescription needs to be called in for you, the name of the pharmacy and the telephone number of that pharmacy need to be given to the physician on call. Dr. Hammond performs hospital based procedures, surgeries, and deliveries at Memorial Hospital North, located at 4050 Briargate Parkway in Colorado Springs. This website is presented for information only and is not intended as a substitute for professional medical advice. No doctor/patient relationship is established, no diagnosis or treatment is being provided by your use of this website. This website does not offer medical or surgical advice to anyone.